When you first arrive at MORI, you will see a menu at the top of the page. 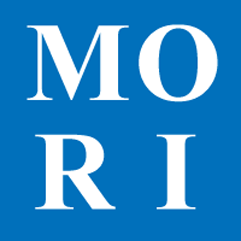 Become familiar with the menu, as you will use it to navigate MORI and access the different functions. The Menu is a pull down menu that you access by positioning your mouse over the desired heading and then moving the mouse to click on the desired selection.